It seems I can’t go out for coffee anymore without someone talking to me about the crazy interview process they just went through. Puzzles, presentations, portfolios, psychometric tests. Not a new thing per se – even in 2013, almost 20% of companies reported using psychometric (aptitude) tests in the hiring process. I haven't found a current stat, but from what I observe, we certainly seem to be pouring it on as of late. Let’s get one thing out of the way right up front. I don’t have anything against testing applicants to validate they can actually do the job once they’re hired. I’m all for it actually. I know how hard it is to predict how a candidate will actually perform on the job. As a hiring manager, I’m always searching for clues to see the real truth in candidates. 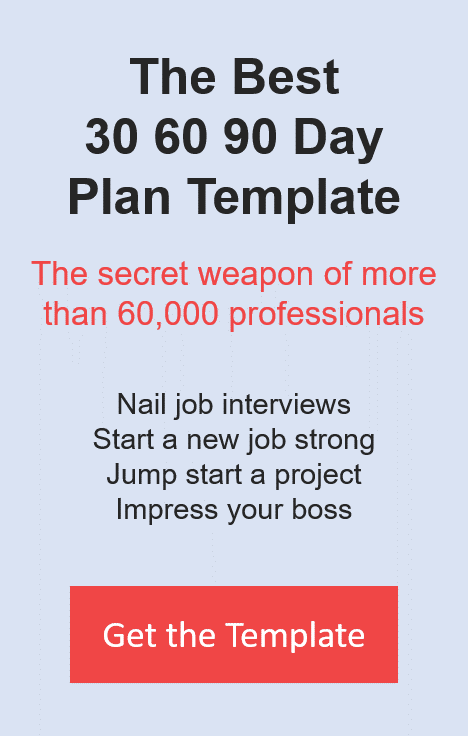 I advise my coaching clients to proactively showcase their work and to build 30 60 90 day plans as a way of addressing this latent concern that lies in the mind of every hiring manager. When it comes to the spirit behind aptitude tests in the recruitment process, I’m supportive. I get why we’re doing it. But in practice, things tend to get a bit weird. That’s what we’re going to discuss in this newsletter. The question for this week: Should your interview process include an aptitude test? Psychometric tests are rapidly gaining popularity in the hiring process. For those of you in the UK or Australia this will not be news. For those of us in North America, it feels like a more recent phenomenon. At least it does for me. Five years ago, you would hear about these things occasionally but these days they seem to be everywhere. Why is that happening? The widespread adoption of aptitude tests seems to be driven by an overwhelming feeling that the competition for talent is heating up and that the cost of making poor hiring decisions has never been greater. We want to believe there is an answer to the frustrating conundrum recruitment seems to present. We hope there is a magical correlation to be found – an algorithm for hiring “A” players. Psychometric testing, in my opinion, is primarily a source of hope. Imagine you were in charge of recruitment at your company and the CEO comes to you complaining that turnover is up and all the best talent seems to be heading to the competition. You need an answer. You need a strategy. You need to provide something that can be a source of hope. You need to give a reason why the CEO should have faith in you a little longer. Psychometric testing has all the attributes you need. It’s a tangible program people can see and touch and rally around. It’s interesting and scientific and seems like a potential source for competitive advantage. So we introduce it and it buys us a little time. I realize this may seem like quite a cynical perspective. Surely there must be more to it. Isn’t there a bunch of data out there that proves the value of psychometric testing in the hiring process? When you google “psychometric tests for hiring” and “aptitude tests for hiring”, you get two kinds of search results. 90% of the articles that come up are from providers of psychometric tests – the people selling the tests. The second kind of search results are courses on “how to ace a psychometric test”, essentially a parasitic community of vendors selling a solution to the very challenge the community created in the first place. It’s a racket. This is only one data point to be fair, but I do worry much of the momentum around aptitude testing in the hiring process can be attributed more to the marketing of the providers than to the realized benefits of actual companies. There is data out there that points to benefit of applying certain kinds of aptitude tests in the hiring process for specific types of roles and industries. I will grant that. But I believe the primary driving force behind the widespread move to psychometric testing is fear, not provable ROI. We are afraid of not having an answer to an extremely hard question. We’re afraid of admitting the challenge of hiring is infinitely complex and daunting, and so we put our faith in this shiny object instead of addressing the hard truth. Perhaps there is a universe of good data to refute my perspective. I haven’t been able to find it. If you’ve had great success with aptitude tests, I’d love to hear about it. I’m not unmovable in my position and certainly my number one interest as a hiring manager is to improve my ability to hire the right people. But for today, I’m going to share the top three reasons I’m highly skeptical about the value of psychometric testing in the hiring process. My experience tells me there are an infinite number of ways to be successful. That there is no one recipe for success within a company. There is no magic set of attributes. I have seen leaders with wildly different approaches and skills be equally successful. As I’ve written previously, my belief is that the only wrong way to lead is to be inauthentic. And that you can find success in many ways as long as your starting point is your authentic self. I’ve seen great leaders who are directors. They start with a goal and direct people to execute. I’ve seen great leaders who are facilitators – truly collaborative. I’ve seen great marketers whose perspective is rooted in creativity. But I’ve seen equally great marketers who are driven almost exclusively by data and science. I don’t believe there is a single profile for success. Surely there are attributes common among leaders and successful people and that some level of testing might reveal them. I won’t debate that. But what worries me is when we start making marketing applicants take math tests. When we start making engineers prove their presentation skills. When we do that, I fear we’ve taken a step too far. There may be some value in the spirit behind aptitude testing but our interpretation and practical application of it is far too narrow in my opinion. In theory, you can test all your highest performing employees and mine the data to find common attributes that correlate to success. Then seek out new recruits who share these attributes. In theory this can work. But I would argue this is mostly based on a flawed premise i.e. that the people who have had success at your company possess the attributes you want to replicate. In my experience, at least half of the top executives and most “successful” people in a company are incompetent. And, that the path to success, as I discuss in Stealing the Corner Office, is frequently not determined by talent or hard work, but rather a unique set of career advancement skills. You may think I’m being cynical again, but I’d ask you to look around your executive boardroom and ask yourself how many of these people are truly talented and got there on merit, and how many got there for other reasons. My point is not to discount successful people entirely but rather to call into question the scoring system we use to identify those whose attributes we’d seek to replicate in an aptitude test. If 50% of the successful people in your company are ruthless, political animals … are you sure you want to replicate their attributes in your future hires? Many people, when faced with an aptitude or personality test, will change their behavior to perform well on the test itself. Every time I am faced with a test like this I have an internal dialogue about whether or not I should answer truthfully or in the manner I think they would want me to answer. It’s hard to blame someone for thinking this way. It’s easy to be tempted to answer in a way that is inauthentic since the outcome of the test is directly tied to our future wellbeing. These tests can never get the truth because the stakes are too high for the applicant. There is also an entire industry built around passing these tests. Every week another site pops up promising to help users “ace the aptitude test”. The entire thing is becoming a farce. It’s not just the subjective parts of the test that are problematic either. The objective components are also too abstracted from reality in my opinion. Unless you are building customized skills tests for each role you’re hiring for, I think you’re in trouble. Since most companies can’t afford to do that, they adopt generic aptitude tests to test for logical reasoning, verbal skills, math etc. The problem is, this is so abstracted from the actual nuances of working in a job in a real corporation, it becomes almost meaningless. I am not fundamentally opposed to the premise behind psychometric testing in the hiring process. I agree with what it’s trying to do. I am always looking for ways to better predict how an employee will actually do on the job. I give assignments, I look at work samples, I do what I can to improve the probability of a successful hire. And while I understand how we’ve arrived at this point - where aptitude tests grow more widespread with every passing quarter - I think we need to slow our roll a bit. Before you jump in with both feet, I recommend asking some tough questions about your assumptions and expectations for adding aptitude tests to your hiring process. Just about every manager I know has hung their hiring hopes on the pursuit of mythical creatures. The unicorn in particular. To one degree or another, it’s always been this way I guess, but to me, our obsession with recruiting “A” players feels frothier than ever. My hard scientific evidence of this fact admittedly is mostly the conversations I have with other managers and my twitter feed. But then again we’re talking about imaginary creatures anyhow so who really cares about science. In sports, the pervasive all-in pursuit of franchise players has always been there. A single player can literally change the fortunes of a franchise for a generation. Just ask Cleveland … Golden State … Edmonton. On sales teams, we often see 20% of the reps generating 80% of the sales – rock stars. In engineering – just about every tech company I’ve worked with has a couple of legendary developers who know every line of code - who seem to be responsible for the lion’s share of innovation. These days it seems like every second conversation I have with fellow managers revolves around these unicorns. Where are they? How do we get their attention? Would they come work here? What do they eat? How do they behave in the wild? It’s getting to the point where the prevailing logic seems to be that you just find one or two unicorns for your team and the rest will “take care of itself”. That the 80-20 rule sets the model for how a team should operate. That the top 20 percent of your team should contribute 80 percent of the productivity. “Does operate” – maybe. “Should operate” – not in my opinion. This is where I think we’ve gotten confused. Keep in mind, I too was a unicorn hunter at one point. But I’m not anymore. In my experience, the reason we put “A” Players on a pedestal is that we’ve failed to develop as managers. Getting the most out of a unicorn is easy – they are hard wired to be great. That doesn’t make you a good manager. It doesn’t necessarily make your team great either. Instead of learning how to build great teams based on a variety of people and personalities and types, we bank our success on hiring a few unicorns to carry the load. That may work up to a point. It might keep the lights on – but it doesn’t mean it’s the way teams SHOULD work. In my opinion, you can achieve a certain degree of success taking the unicorn-first approach, but to be a truly great team, you need another approach entirely. When it comes to building teams, I subscribe to more of a moneyball approach – I’m trying to build the Oakland As – a team where the greatness in every player is identified, developed and embraced. As I’ve said, I wasn’t always this way. In fact, I used to be quite cynical when it came to developing people – I was a nature trumps nurture guy. I believed people came with the talent they had been born with and my job as a manager was to find more of the ones born with lots of it. My number one job as a manager is to create an environment where each individual person on the team can be at their personal best. That’s the job. Create the conditions whereby every person on the team can be the greatest version of themselves. Why is this at odds with hunting unicorns? What I see are managers building teams, focusing recruiting, creating environments designed to embrace and elevate the unicorn. And this comes at a price. When you focus your time, energy and praise on unicorns, it means you’re not focusing on developing the non-unicorns – the majority. I don’t think you can do both. But doesn’t the presence of unicorns raise everyone else’s game? Not for everyone – no. In my experience, each person is unique – that’s my point. To truly embrace a team-first approach you need to expend a great deal of time and energy on actively nurturing each individual. You need to architect the conditions for everyone to improve – not just the unicorns. You become more of a concierge than a manager in my model. In actual fact I’ve seen the presence of unicorns hurt the performance of other people on the team. They can’t see themselves in the model the unicorn has set. That can be deflating. So how do you build an environment that brings out the best in everyone instead of just the unicorns? Ditch the high pressure and intensity. I don’t think the majority of people respond well in a high pressure environment. So I don’t do this anymore. My goal on a day to day basis, is to make each individual on my team feel as comfortable as possible. When people are comfortable, they perform at their best. When people are comfortable they are at their most creative. This is what we should be striving for. Openly discuss everyone’s developmental journey. I want everyone on the team to be on a journey towards a better version of themselves that is aligned with the personal goals they have. I don’t constrain this conversation to quarterly performance reviews and career conversations either. I want it out in the open as part of the daily discourse within the team. I want everyone on the team to know about the goals and dreams of their teammates. When this kind of openness is present, I’ve seen amazing things happen. People help each other. Favor a Capacity to Learn over Point in Time Talent. Too often we focus on the “talent” people have when they walk in the door on day one. We focus on what MBA program they went to 15 years ago. These are snap shots. They’re indicative only of talent in one specific window. If a person is going to be on my team for 4 years, I want the one who’s going to get better every day – the one who’s dedicated to learning. In my experience, that’s very often not the person who has the most natural talent. Keep the focus on team goals. There’s no question employees need to understand their purpose at work and have the autonomy to pursue it. They also deserve recognition for their successes. But the most important thing is to define the context of that purpose and those successes in terms of how they impact the overall team goal. What we want to minimize, in my opinion, are celebrations of individual success that are not directly tied to the mission of the team. When you do this, it can lead to the wrong behaviors and negatively impact the sense of team unity. The day to day narrative should be about what the team is striving for and celebrations should be about how individuals and groups have helped advance that cause. The unicorn recruitment strategy is widespread. As managers we scour the earth in search of these mythical creatures to be the cornerstones for our teams. Often times we feel like if we can just get a couple of these “A” players, the rest will take care of itself. But this strategy comes with a cost. It’s hard to find unicorns. Unicorns might not want to come work at your little known company. Unicorns might not be enthralled by your maturing industry and 5th generation technology. Not everyone who looks like a unicorn actually is one. And sometimes, the presence of unicorns can actually harm the team dynamic. So in 2016 I invite you to join me in going unicorn-free and instead focus on discovering and developing the individual greatness in every member of your team.